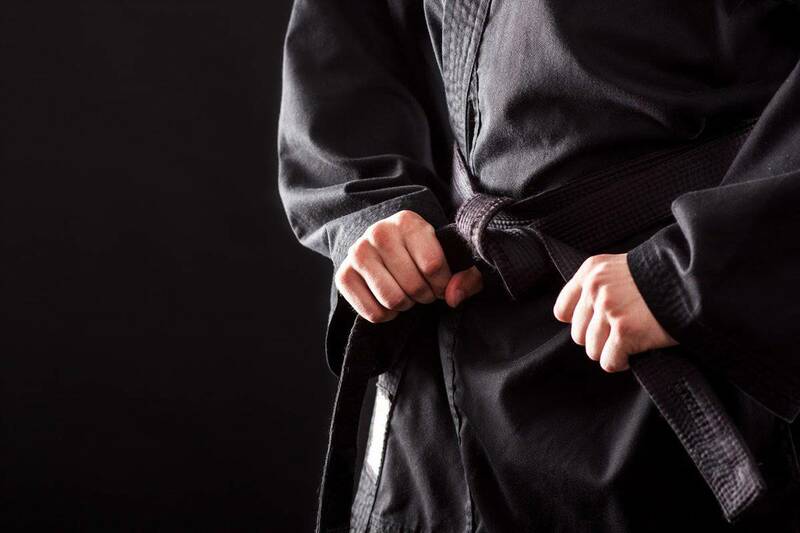 Kuk Sool Won™ of Menlo Park has been in business for over 15 years. We run our program out of the Arrillaga Family Recreation Center at Burgess Park. We are a husband and wife team that run the program with PKJN Kris as the Chief Instructor. 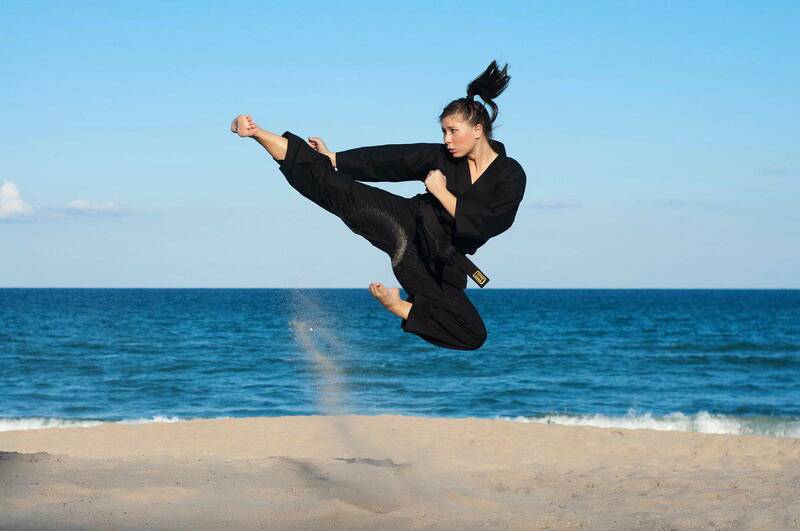 She is a former World Champion and is a 5th degree Black Belt and Master. We teach kids as young as 3½ all the way through adults. I still remember the first day of classes at our school. I was a second degree black belt, and I had been working toward this moment since I was a yellow belt, almost ten years before. We were running classes through the local recreation center so while I knew what day the classes started, but I had no idea how many people had actually registered for class. I was living with one of my best friends from college at the time. She was excited to start her training when I opened my school. I was excited to know that I’d have at least ONE student. “If nobody else shows up, we’ll still have a good time,” she assured me. I assumed that we would have two or three students for the first class. I was totally surprised when SIX showed up! I was nervous and excited. We had our little class in the biggest room in the center. It was a family class: kids and adults training together. Today, our family classes are still among our most popular classes. It was such an exciting day. I had registration forms, uniforms, and lots of energy. The floor was laminate on top of cement. The mats we had for falling were the same kind of tan and blue folding mats they used to have in my elementary school. Everyone came in nervous, but we got a good sweat and a lot of laughter, and we all went home excited to train together. Fifteen years later, we’re still in the recreation center, but our classes fill the room now. What was once six students has grown to be just under 200. One class, twice a week, is now five hours of class, six days a week. What was once a healthy hobby is now the single source of income for my family. Both my husband and I work full-time for our school. We spend most of every day together, and absolutely love what we do. I am so grateful that this is my life. Martial Arts classes for kids 3½ years old and adults. Kuk Sool Won™ is a traditional Martial Art from Korea. You can always find us out in the community. We participate in the annual Downtown Bock Parties. We love to volunteer at all of the City of Menlo Park's events like their Halloween Hoopla, Breakfast with Santa, 4th of July Celebration, and much more. Kuk Sool Won™ of Menlo Park has 10 sessions listed on ChatterBlock, visit their website for additional information. 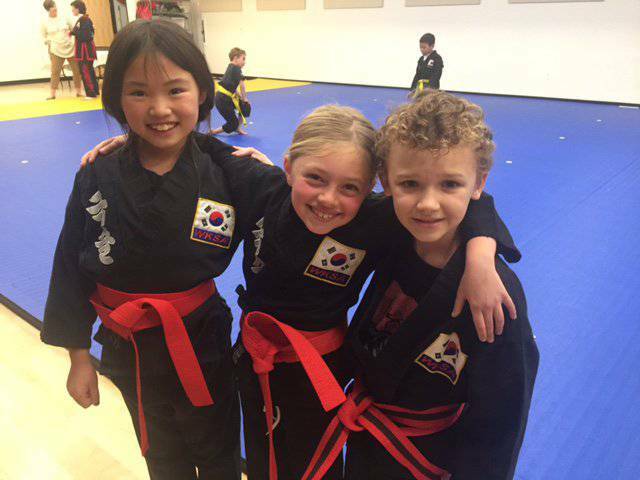 Mighty Mites Martial Arts Classes for Kindergarten and 1st Graders! Young kids Martial Arts Classes for ages 7 to 9! Older Kids Classes for ages 10-14!